The Children's Museum of Indianapolis announced its partnership with the National Collegiate Athletic Association (NCAA) in the creation of a new, permanent exhibit that will create awareness for health, fitness, and sports. It will all be part of the new indoor and outdoor Riley Children's Health Sports Legends Experience at the world's largest children's museum. Tips from sports legends, collegiate athletes, regular practice and hard work can help each of us build our confidence and learn new skills so we can achieve our life goals. The love of sports creates pathways to wonderful opportunities in so many ways – including a quality education and a healthier lifestyle. That’s why the world’s largest children’s museum is proud to announce a partnership with the National Collegiate Athletic Association. Together, the two organizations are creating the NCAA Sports Legends Training Facility, which will be part of the Riley Children’s Health Sports Legends Experience at The Children’s Museum of Indianapolis. The NCAA Sports Legends Training Facility will be filled with interactive opportunities for the entire family to participate in athletic activities while discussing how lifestyle choices in school and sports are interchangeable. Key skills will include hard work (practice and homework), dedication, and commitment. This indoor, permanent exhibit will be located within the Efroymson Pavilion, which will also house a changing exhibit (starting with The History of Hoops) and will serve as the new permanent home for the National Art Museum of Sport. The NCAA Sports Legends Training Facility will be a place for children and adults to experience and learn about physical and mental training needed for all sports. Children and families will be able to test their strength, agility and balance through a variety of sports-inspired activities that will include football, hockey, basketball and a balance beam. Visitors will also enjoy learning about communication on and off the field by pretending to be a sportscaster. Costumes and props will allow children and families to immerse themselves in sports performance and try out different roles throughout the gallery. The Sports Legends Experience is designed to give more people, especially children and their families, access to health and fitness that is fun and inspiring. The NCAA is dedicated to developing young people and providing opportunities for them to succeed in life. 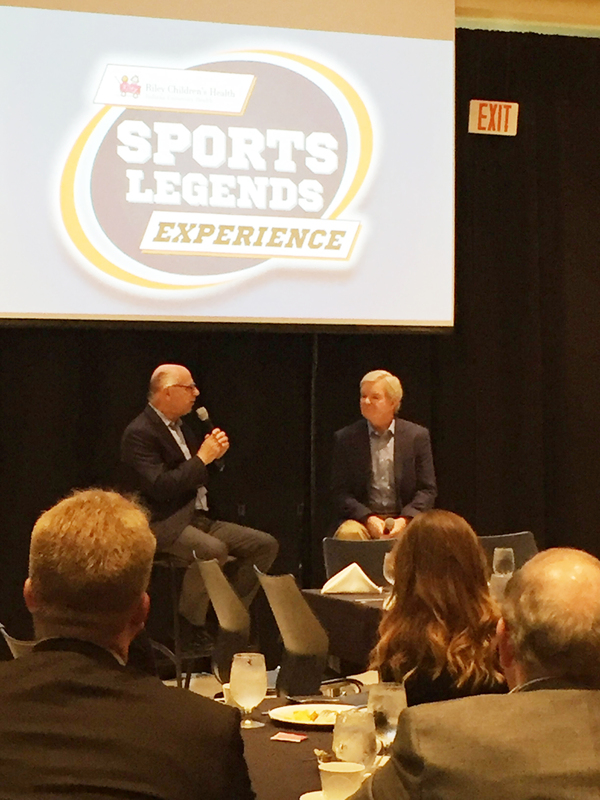 The college sports governing body’s specific focus on academics, well-being and fairness aligns well with the mission of The Children’s Museum of Indianapolis, Emmert stressed. The Riley Children’s Health Sports Legends Experience is scheduled to open March 17, 2018. 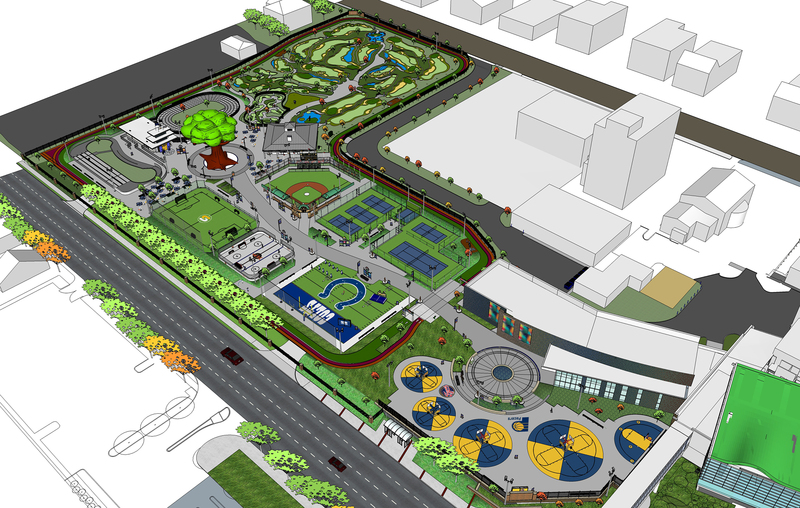 The 7.5-acre indoor and outdoor attraction will encourage families to get in the game together--inspiring all through the stories of sports legends. 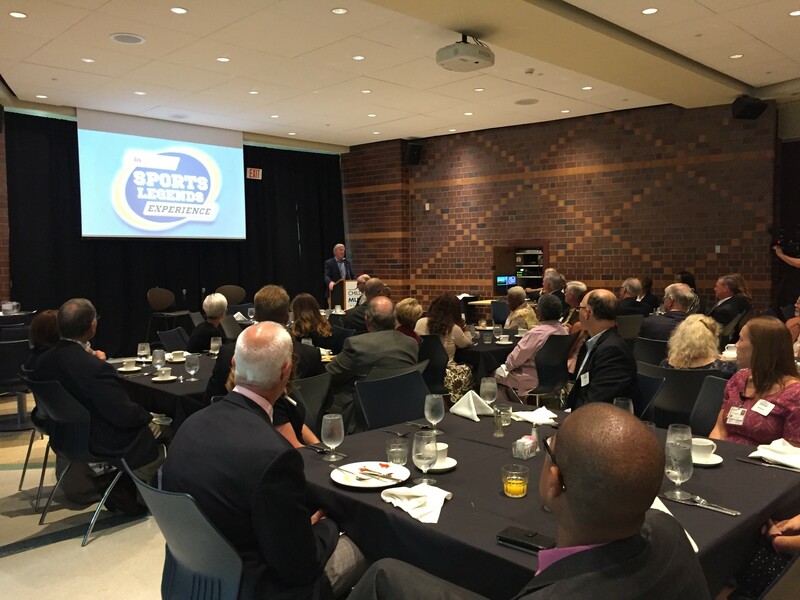 The NCAA Sports Legends Training Facility has been made possible by the National Collegiate Athletic Association. The Riley Children’s Health Sports Legends Experience is an immersive learning experience that allows children and families to participate in health and fitness activities through sports as they are inspired by some of the greatest athletes of all time. The Children’s Museum of Indianapolis partnered with experts from Riley Children’s at Indiana University Health, which operates the only nationally ranked children’s hospital in Indiana, to bring this experience to life. For more information about Riley Children’s Sports Legends Experience, visit childrensmuseum.org/sports-legends. For more information about Riley Children’s Health or The Children’s Museum of Indianapolis, visit http://www.rileychildrens.org and http://www.childrensmuseum.org respectively.